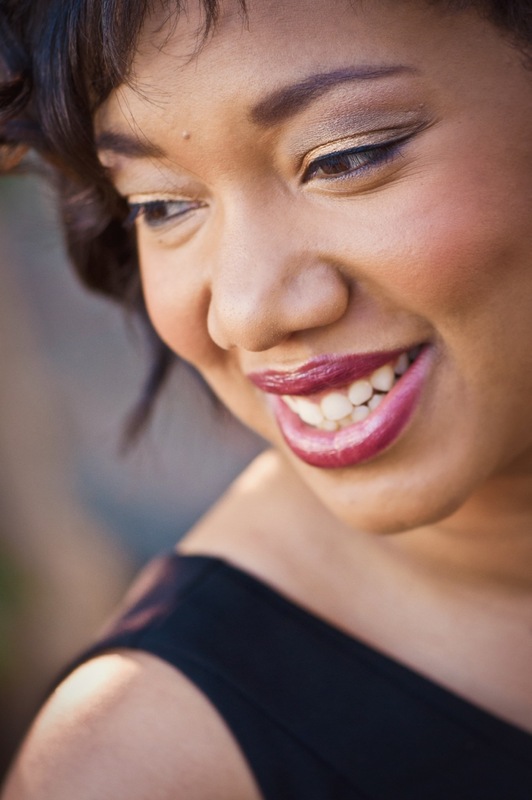 Catherine Daniel, mezzo- soprano is currently based in Toronto, Ontario, Canada. Her upcoming projects for this season include: Singing First Maid in Edmonton Opera’s production of Elektra, singing Jezebel and the Angel in Elijah with the WSO and singing Elisabetta in Knoxville Opera’s production of Maria Stuarda. Last season’s engagements included singing First Maid in Opéra de Montréal’s production of Elektra, returning to Edmonton to sing Mercedes in their production of Carmen and a summer Porgy and Bess tour in Germany. In the summer of 2014 Catherine joined 18 other singers at the Highlands Opera Studio for a residency and performances of William Walton’s The Bear. Ms. Daniel sang the role of Popova directed by Richard Margison and conducted by Wayne Strongman. Catherine began 2014 singing Maria in Opéra de Montréal’s production of Porgy and Bess. She then returned to Edmonton to sing Kate Pinkerton in Edmonton Opera’s production of Madama Butterfly for their 50th anniversary season. In 2013, Ms. Daniel released her first Album “Songs Dear to my Heart”. The project is a collection of hymns and spirituals. Catherine participated in several local concerts and events in her native city, Edmonton. From July 2nd through August 7th 2012 Catherine participated in the Franz Schubert Institute. There she worked with master teachers: Robert Holl, Elly Ameling and Bernarda Fink to name a few. The FSI, run by Dr. Deen Larsen is an annual masterclass aimed at the perfection of German Lied taking place in Baden, Austria. 2011 opened with more concerts and the Opera Studio Nederland’s (OSN) production of Cosi fan tutte. In the fall Catherine performed Kundry in an excerpt of the Wagner opera Parsifal. This production was a celebration of de Muziek theater’s anniversary in Amsterdam. Later that fall, Ms. Daniel was a featured soloist for several performances in Canada such as the Manitoba food grains fund raiser and Judas Maccabaeus under the direction of Elroy Friesen. Ms. Daniel then returned to the Netherlands to sing Carmen in the Peter Brooke’s version of Bizet’s opera with the Magogo Orkest and conductor Arjan Tien. November and December 2010 brought Catherine back to Canada for engagements: first to Winnipeg to sing Messiah with the University choirs under the direction of Elroy Friesen and second to Montreal to sing in the annual Opera Gala. That fall, Catherine sang La Messagiera in Monteverdi’s Orfeo as part of the OSN’s 20th anniversary under the direction of Pierre Audi. Ms. Daniel also participated in the Jubileum concert at the famed Concertgebouw in Amsterdam. In the spring, Ms. Daniel joined Kirstin Chavez and Luis Ledesma singing Mercedes in Manitoba Opera’s production of Carmen. As her European debut, Catherine sang Dido and the sorceress in Opera Studio Netherlands production of Dido and Aeneas in the fall of 2009. This touring project was a collaboration with Opera Zuid and Ad Mosam. Ms. Daniel subsequently became a full member of the (OSN) in May of 2010 under the direction of Hans Nieuwenhuis. From 2008-2010, Catherine was a member of the Atelier Lyrique de l’Opéra de Montréal. There she sang such roles as Wowkle in Fanciulla Del West, the 2nd spirit in Verdi’s Macbeth, Dorabella in Cosi fan tutte and Third Lady in Magic Flute. Ms. Daniel also toured with l’Orchestre Metropolitan in December 2009. Catherine graduated from the University of Manitoba with an Integrated Music/Education degree in 2007. There she studied voice with Coloratura soprano Tracy Dahl.